Atari ST RF Computer to TV Lead - New 2 days, 09h:56m:05s £2.60 Buy now! Ultimate Ripper Cartridge 3 days, 00h:25m:32s £26.56 Buy now! 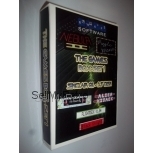 Atari 260/520/1040ST/ MegaST VGA adapter with sound 5 days, 23h:01m:44s £10.79 Buy now! RGB-Scart Kabel für Atari ST *Best quality* 5 days, 23h:01m:44s £10.79 Buy now! Atari ST Replacement Rubber Feet - Pack of 4 24 days, 05h:21m:20s £2.00 Buy now! Atari ST Replacement Rubber Feet - Pack of 2 24 days, 05h:24m:36s £1.20 Buy now!